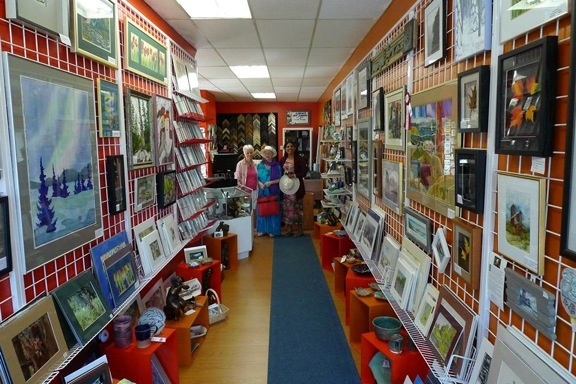 Laura's Art Shoppe is a showcase for regional and local artists and artisans! It's a privilege to be promoting some of the most well-known and impressive artists in our Region, many of whom are internationally renowned and seasoned award-winners who have been in multiple exhibitions and art galleries locally and internationally. Unique stained glass, fused glass creations, as well as natural gem and crystal jewelry are here as well. Pottery, sculptures and carvings will awaken your senses! Hand-made cards for all occasions! The mandate of Laura's Art Shoppe is to keep on the cutting edge, to offer you, the customer something of high standards, beauty and uniqueness.